Creative-Destruction»Game Forum › Discussion Area › Announcements › Answers from Dev Q/A!! [New] Answers from Dev Q/A!! Dear Explorers, you had questions and we got answers! Below are some of the responses we got from the previous week's Q/A Session. Q1: How do you Balance Weapons in Creative Destruction? A: We are constantly observing player and weapon data to examine the damage efficiency and usage rate. While some weapons, such as the AK47 and Uzi are capable of dropping some heavy fire on enemies, the data shows no significant impact on it being overpowered or affecting how weapons are chosen for different situations. Q2: Please give us More Skins and Dance Moves! A: Creative Destruction has a wide fan base that spans multiple countries. We really want to make sure we design Looks that players will enjoy and will run smoothly on different devices. This does take time, but no worries, we are working quickly on getting these designs to you as soon as possible. Q3: Are there any plans for account sharing across servers? A: We will consider to support cross-server login in the future. If there is anymore news, we will definitly inform you via our social media platforms! A: This is definitly one of our top priorities. We'll continue releasing updates to our anti-cheating measures to help guarantee fair play for players! Please help us identify hackers by reporting them via in-game. A: The player named NinjaAfricano was confirmed as a hacker and promptly banned. We want to restate our committement to providing a fair environment to players, that cheating will not be tolerated, and to please assist us in doing this by reporting anyone suspected of cheating within the game. A: While we currently have the LATAM Server for Mobile, there are no current plans for doing the same with PC. A: Yes, we are excited to say that a new map is currently under development, while we cannot release anymore details, we can say it will be finished very soon! with the squad on it. A: There are a lot of great ideas here, however, we have released some of these functions already. Also, some of these questions have already been answered above. 3. The game has Golden WP for the job. If we introduce another Sniper Rifle, it would come with some other special abilities. Please stay tuned for future updates. 6. While boats would not work well within the current map or modes, we are definitly considering some other types of transportation in our future plans! Q6: (DJHammer) : I Imagined this very enjoying "Invasion Mode"
-The Alien Spitter monsters! I created a 3D model of it see the picture below. - Same Aurora Valley with capacity of 100 Players. -Everytime you killed an Alien monster gives random reward Level UP EXP, Gold Coins or Star Coins each monster spawns randomly anywhere in the Map..
A: It sounds like a pretty cool mode, we are open to any ideas which can increase the fun factor for players. We like the idea of an ""Invasion Mode"" which could help create a survival shooter experience. However, we are mainly focused on PvP Modes where players can cooperate and compete against others. A pure PvE mode would lower interaction between players and is not in the immediate plans. We definitly love the amazing ideas and will continue to listen to our players! Q8: (N/A) : Ability to use additonal keys of mouse? A: Currently only left and right click actions are supported with custom keys, however we will consider expanding this in the future. Q9: (Akilliz) : Change the placement of last circles? A: Changing the way of circle-closing is an exciting idea. But we are considering to bring more dynamic mechanisms into the end game. Please stay tuned for our update! A: We're definitely considering letting players design skin even modes for our game. We'll launch these activities soon. 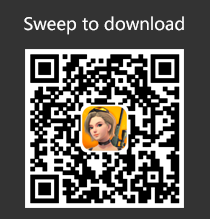 Please keep an eye on our official forum https://forum.creative-destruction.com/forum.php and Facebook page @CreativeDestructiongame. A: We are also not satisfied with how the guild function currently works. We would like to introduce some more ways for guild members to interact with each other through activities and some events. Stay Tuned! This program provides various benefits to Influencers, Streamers, and Top Players. We encourage players capable of sharing their experience and love for CD to join us in creating a better Creative Destruction for everyone! A: We have some pretty sick Halloween themed outfits. Hope you guys enjoy them. Thank-you for all your support! But can you optimism low mobile ? 2019-4-25 09:39 GMT-5 , Processed in 0.032434 second(s), 24 queries .